Japan was well known for their natural disaster. Do you know what natural disaster that is? Yes, Earthquake. 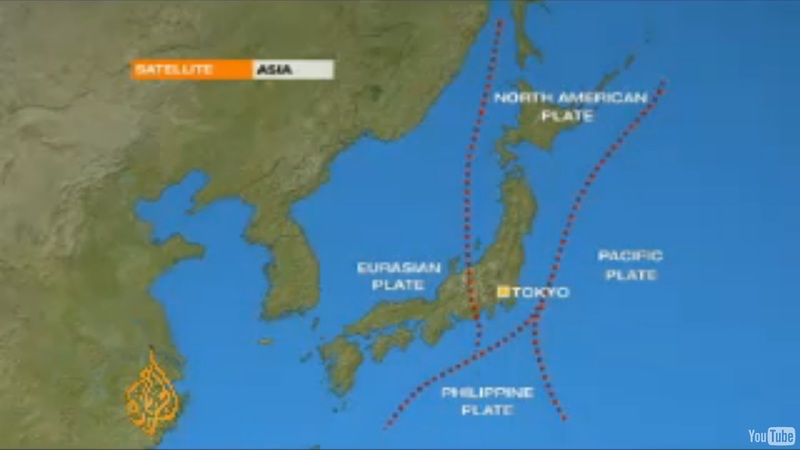 Earthquake, compare to most other states, are very prone to happen in Japan. Why? Please take a look at the picture below. According to Al Jazera, the east tectonic plate (pacific and Philippine) are moving to the west (Eurasian and north American), hitting each other. Because of that, the east tectonic plate are being sub ducted under the west plate. Every year, the movement progress increase 8cm. From meteorologist perspective, it’s quite big of a deal. Since the east tectonic goes down, so does the pressure build up. And after the pressure is too much, it will “let go” and create an earthquake. This will also create a Tsunami, but that’s another story. What did the government do to minimize the risks? 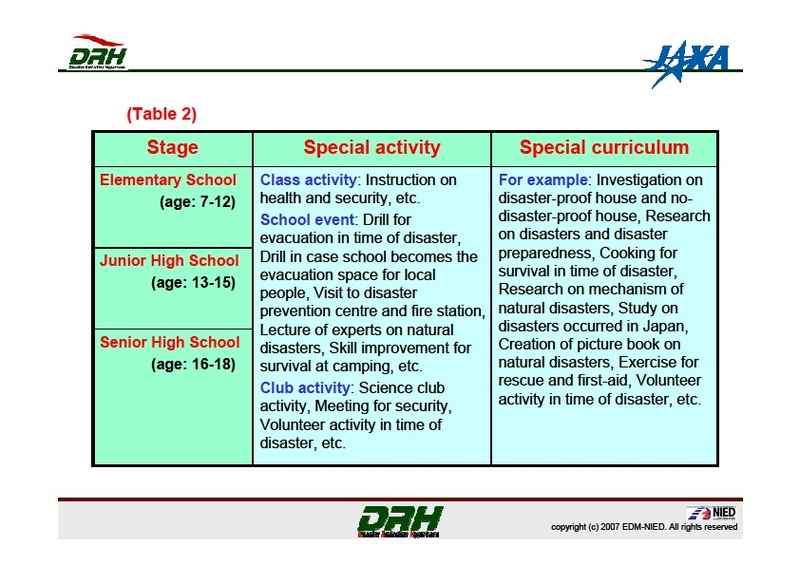 A well known method to counter the risks are through Disaster Risk Education at School in Japan. 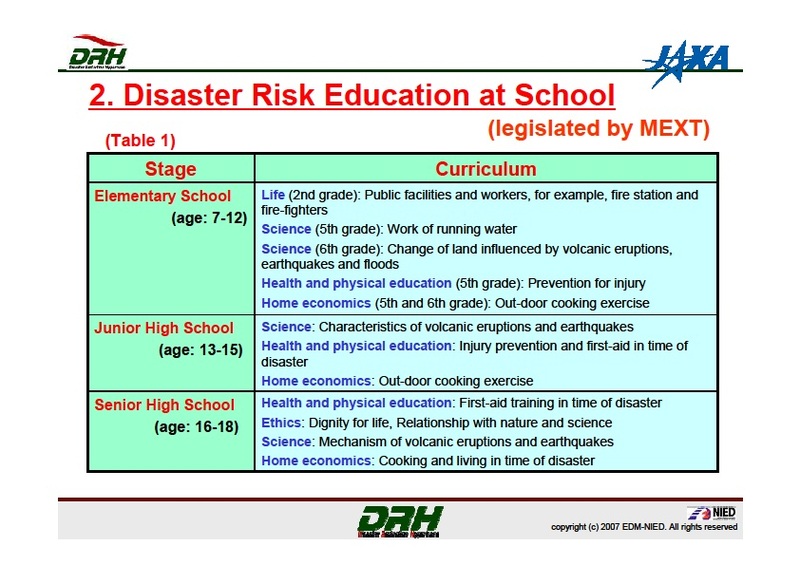 Added to the curriculum, from elementary through senior high school, the students are prepared to face the worst. For detail, you can look below. Well the curriculum already list everything, so it’s not that fun to dwell there. What I want to highlight is the School Event! 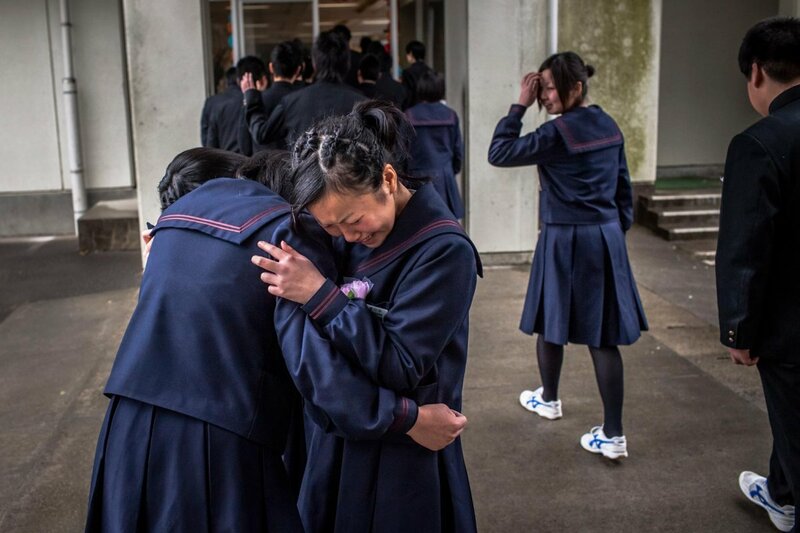 At every schools in Japan, earthquake drills are held once a month. 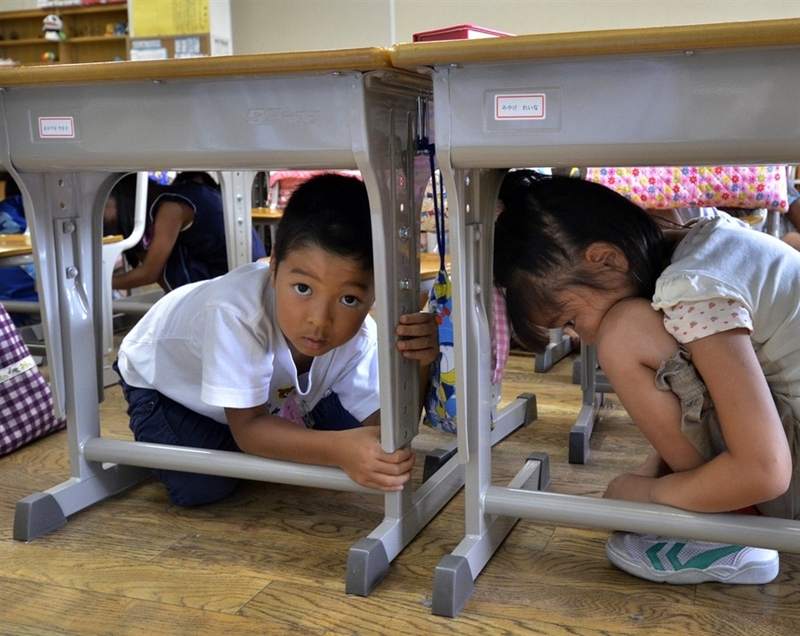 If an earthquake strikes while they’re in a classroom, children learn to get under their desks, head first, and to hold on to the legs of the desk until the quake is over. After that the teacher leads them out of the building and calls the roll to make sure everybody is there and safe. If a quake hits when the children are in the schoolyard, they are taught to gather in the middle, away from the school building (If you’re wondering if this what I meant by interesting, yes it is). 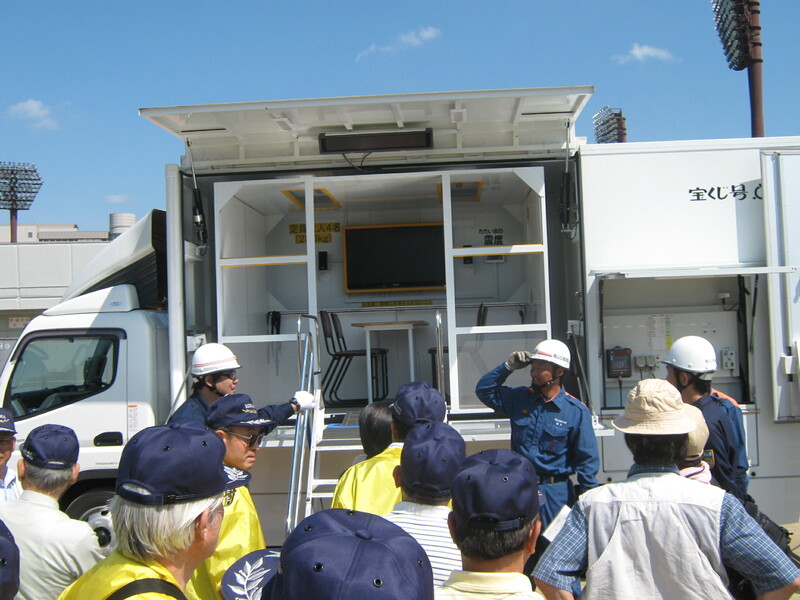 Sometimes, with help from the local fire department, children also take turns practicing in earthquake-simulation devices, which are special rooms that can be made to shake just as they would in a serious earthquake. At schools with three floors, the older children may also practice using emergency chutes to get to the ground from the top level. Another feature of the drills is to pretend that a fire has broken out and to find a safe way out of the school. The location of the imaginary fire is different every time, so the children can learn what to do no matter where it breaks out. The teachers and children in the upper grades also watch videos to learn how to use fire extinguishers. If a serious earthquake strikes during school hours, the children stay at school with their teachers until somebody from home comes to get them. This is because it may be dangerous for them to try to go home by themselves, or something may have happened to their house or apartment building in the earthquake, and their family may be staying someplace else. The kids also practice waiting at school this way as part of their earthquake drills. 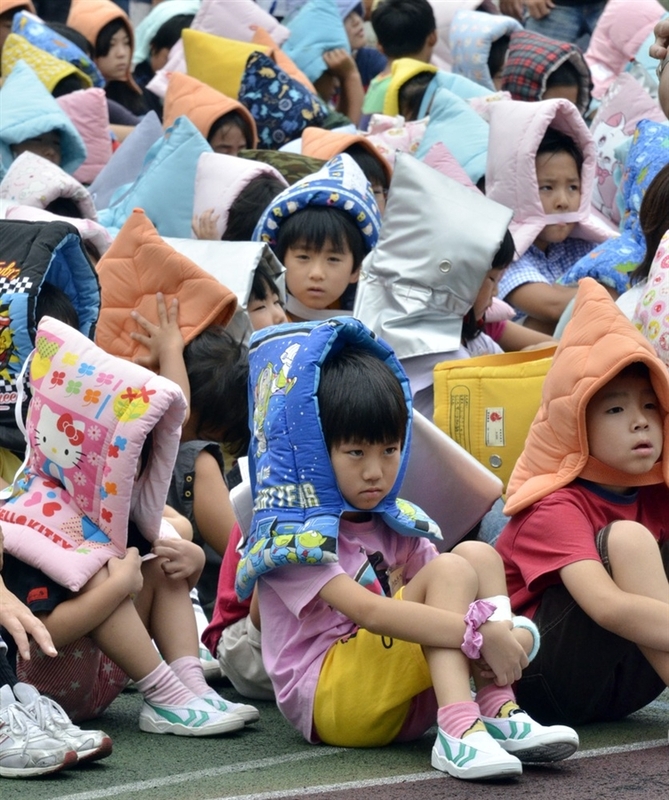 Interesting Trivia: Every school in Japan has their own method to teach students to protect themselves during earth quakes, usually through slogan. The most well known throughout the world are Drop! Cover! Hold On! What you need to know about School Trip! 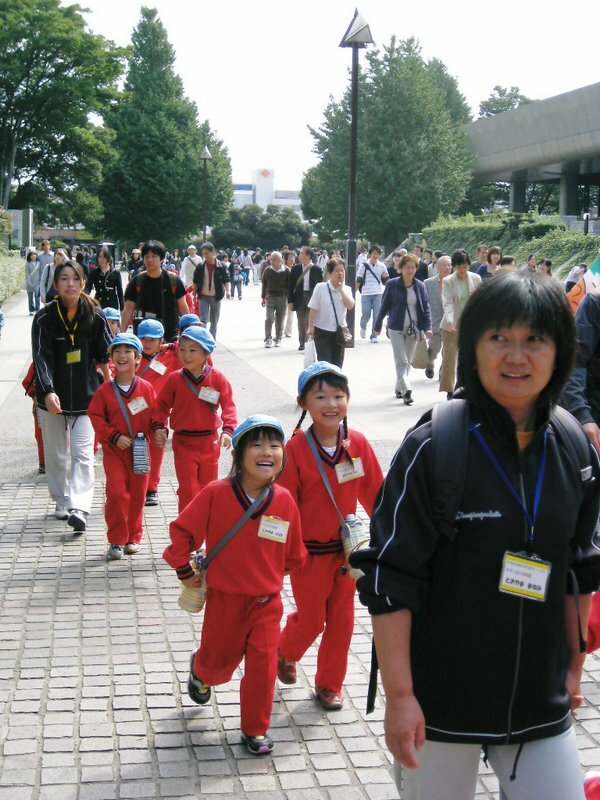 Japanese schoolchildren are generally taken on field trips twice a year, usually in the spring and fall. These excursions are called ensoku, written with the characters for “far” and “foot.” As the word suggests, ensoku are traditionally taken on foot to a place of natural beauty, perhaps a hike to a scenic spot not too far from the school. Different from kengaku / study trip, ensoku mostly for fun. Though, there are also a little education included. 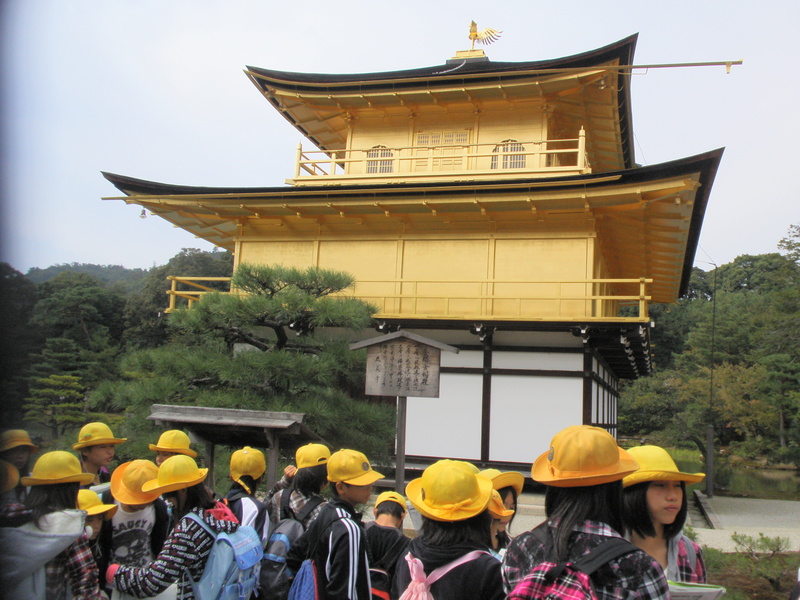 Teachers use ensoku to teach students how to prepare for an outing, how to travel safely (and in a civilized manner) and how to organize their own activities. 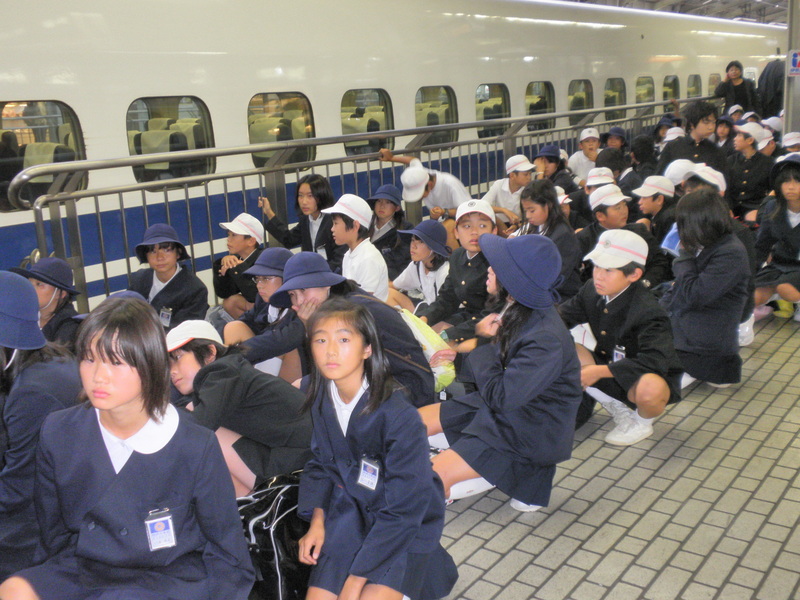 If ensoku only last for one day, Shuugakuryokou is an overnight trip that last 2-3 days, and kids and teacher chaperons take either a chartered bus or trains. Think of it as “the big ensoku“. The general meaning and the purpose of the trips is still the same. It’s usually all the grades above 4th grade who go, maybe starting with the 5th or 6th graders, who often go together on the same trip. 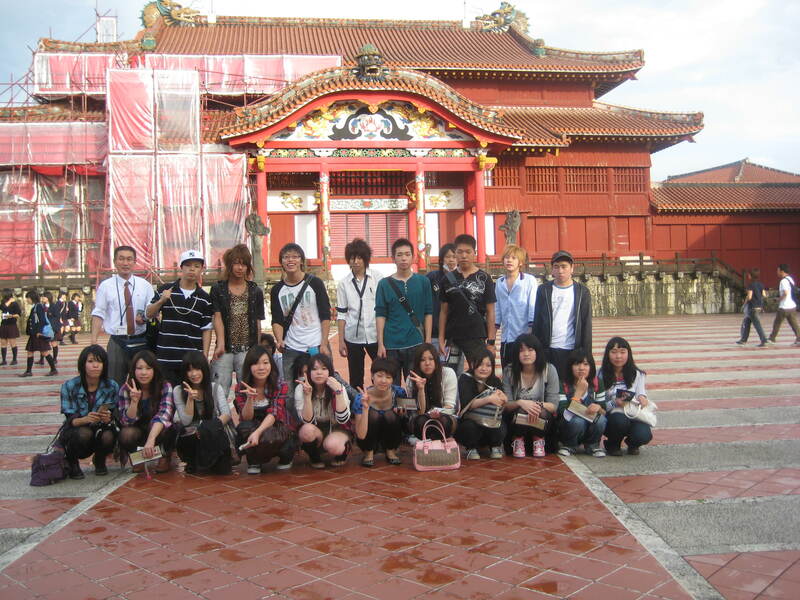 They often go to famous places in Japan, larger cultural centers, such as Kyoto, but highschoolers (9-12th grades) get to go as far as Hokkaido and Tokyo and stay maybe or 3 nights. These trips involve more recreation, along with the usual sightseeing. The destination varies between each grade. The youngest of the bunch, maybe 1-4 graders, visit someplace local within their own town and usually go by foot. The older kids often take buses or ride the train to a slightly farther local place of interest. 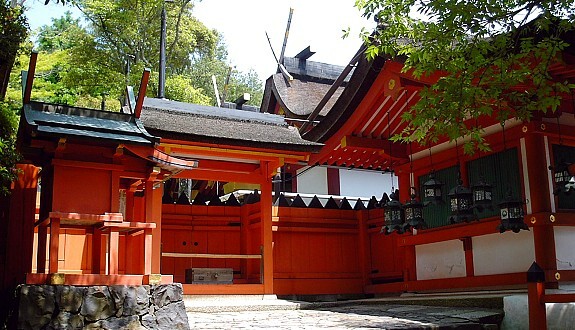 The destination usually has some cultural value about Japanese history or heritage, or has something to do with a local product or specialty or craft of the area. While at School Trip, you have to wear your school uniform. If it’s in elementary school, they probably don’t have a uniform, so they have to wear the school hat and the name tag that pins to the sweater. On some ensoku (like the hiking ones) they have to wear your gym suit. On School Trip, students are supposed to bring their own lunch, a thermos full of something to drink, and some ‘okasi‘, or treats. Picking the okasi you will take is the major part of preparing for school trip. See, the teacher sets some price, say 500 yen, and you have to stay under that limit. So, everyone tries to get the most candy possible for that price. Treats are usually for trades between students, so that they share the feeling of camaraderie. 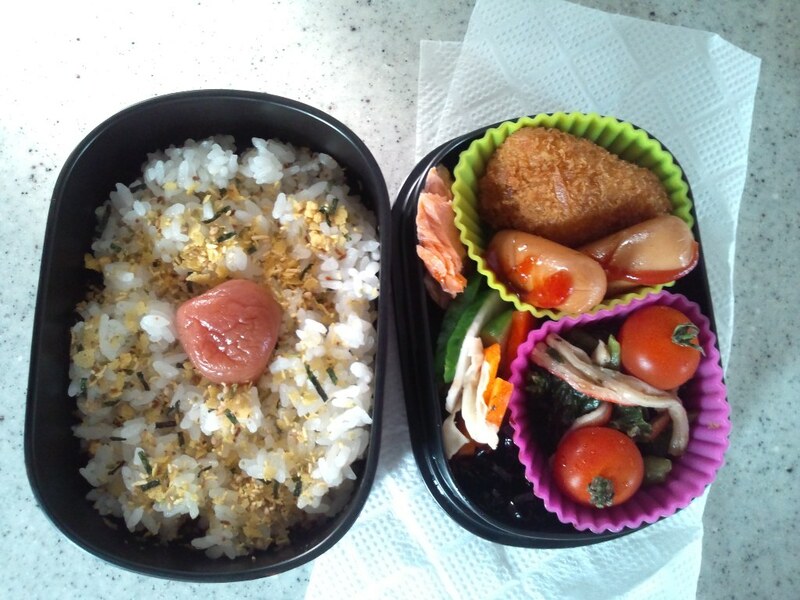 Interesting Trivia: One of the popular treats for students are the “hundred yen bag”. These are little bags that are 100 yen no matter how much candy you put in it. They are clear plastic, usually around 20 cm by 10 or so. So, you stretch this bag as much as possible before putting anything in it, and then as you put each item in, you press it as far as it can go into the corner of the bag, and generally cram it all in to save space. You have to be able to close the bag, which closes like a ‘ziplock’ bag. After that, you go to the register hoping it won’t break on the way there. Romance, Prideful, and Longing Environment of Graduation Day! 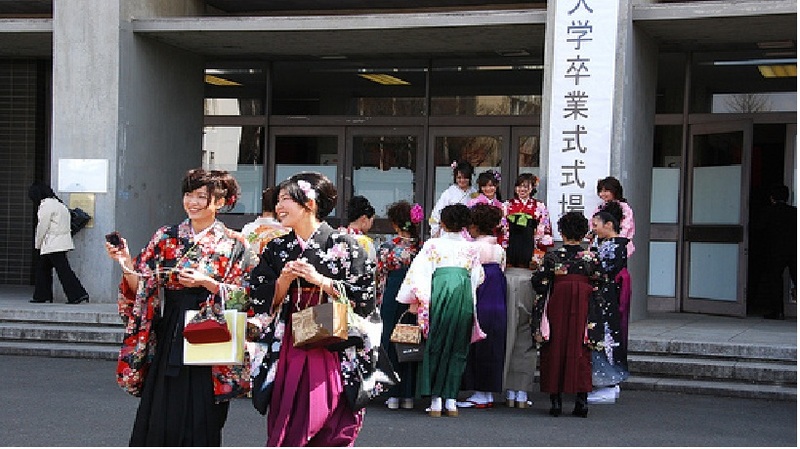 March (Spring) is graduation season in Japan, and those who graduate will open a new page in their life. Some will be happy, others will cry. Some interpret it as a goodbye, others interpret it as a new future. Those who stood watch, the parents and the teacher, usually have mixed feeling between proud, happy, and relief. 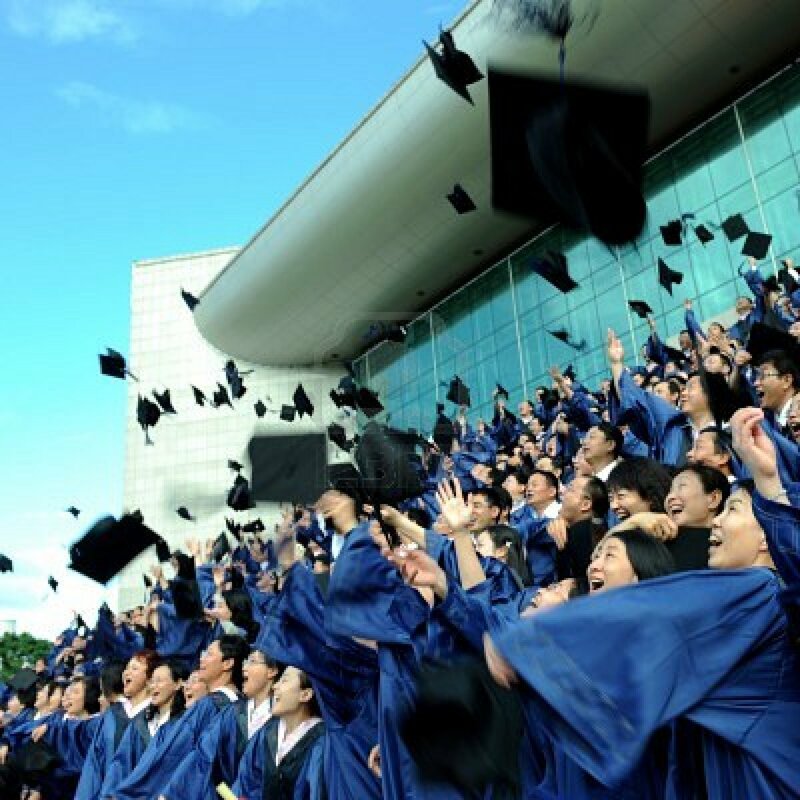 What makes Japanese Graduation different from other nations? In shorts, it’s the amount of preparation they take for the success of the event. Since the preparation of Graduation Days need a lot of explanation, you can refer to This article for the complete guide. Today, I will focus on the general explanations. 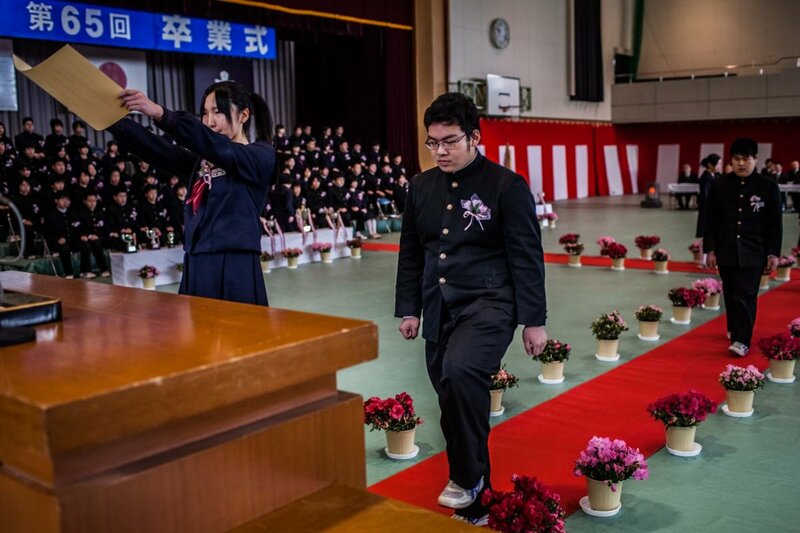 In the Japanese school system and the country at large, nothing passes without ceremony. It’s not surprising in a culture that places high importance on symbols and surface appearances, because it recognizes a truth: that the superficial has a life and reality of its own. So, even at elementary school; graduation day is a spectacle, joyful and restrained, theatrical and mechanical. They usually takes Graduation Day at School Gym. Student Speech – Words from a few students and the reveal of artwork representing the graduating class that will stand for the next year. Diplomas – after students receive their diplomas they sometimes make a speech at small schools, or give a note to their parents. Special Certificates – students are recognized for outstanding achievement. Speeches and Songs – Speeches are given by local important people from the town, board of education, PTA, student body, and graduating class. First and Second years sing ‘Ume-wo akiramenaide’ (don’t give up on your dream). 3rd years sing ‘tabidachinohi’. Later everyone sings ‘saiyonara’ (goodbye). Of course, these songs can be changed, they just seem to be the common ones. Presentation to Principal – Usually a monetary gift from the students/parents that the principal announces will be used for the students. ‘Hana no michi’ – The flower road. Students and parents make a human corridor and fling confetti as the graduates leave. They are usually given flowers and other gifts as well. After the ceremony itself is complete, things tend to become far more local. At one of the Junior High, the island was so small that each family threw their own party at their own house. 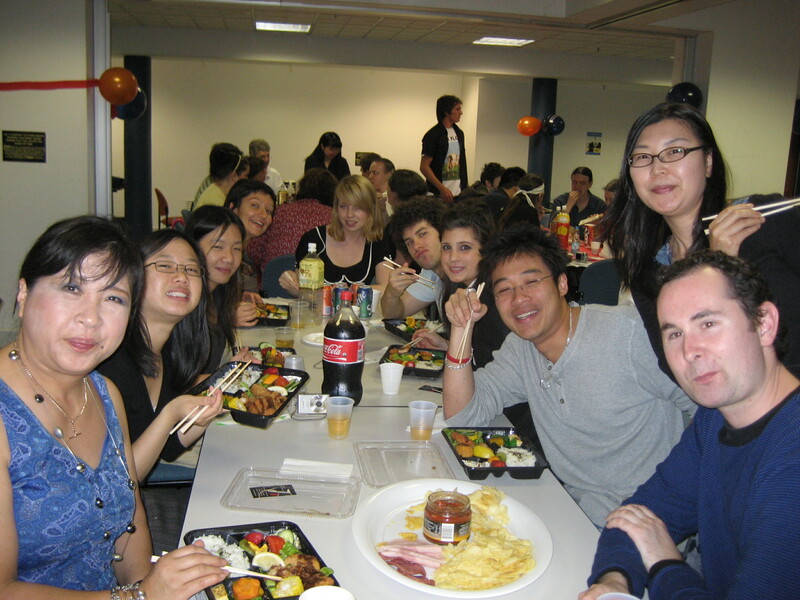 Teachers, family, and friends would then go house to house for food and drinks and to congratulate the graduates with presents. At one schools, they cleaned out the gym after the ceremony and food was brought in. Together performances by the teachers, boys, girls, and their parents were put on as everyone celebrated together. Each community has their own way and traditions. On the small islands and communities these celebrations are even more important than larger areas. Here, the students know each other better than anywhere else since their class sizes are so small. More so, their graduation marks many of their departures for high school. For those on small islands, this can often mean they will be leaving their home of 15 years to go live alone or with relatives and study at schools with very different populations. For a very few, graduation from Junior High means entering the working world For many more, it’s a new step onto a path with the beginnings of direction. For all it marks a great accomplishment and change. Unfortunately for them, their celebrations are short-lived. 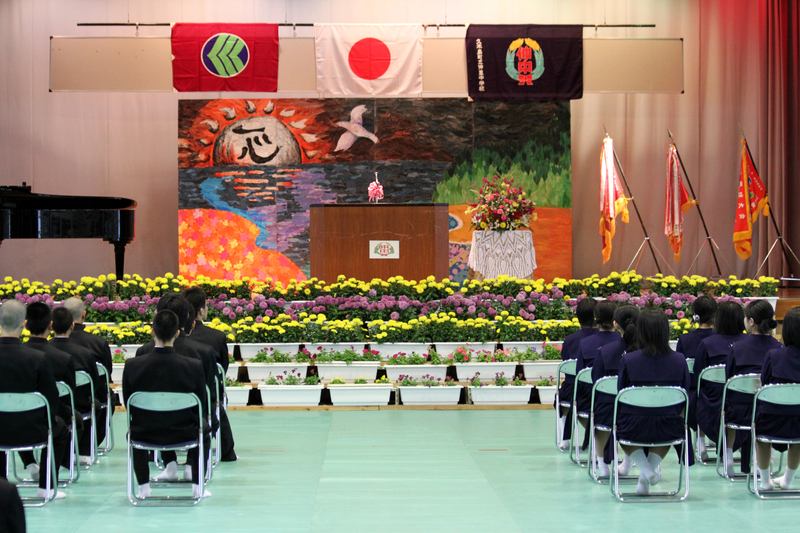 Since the Japanese school year begins April 1st, they will have scant time as graduates before they are thrust into the lowly position of newbie’s again. Interesting trivia: In Japan, such ceremonies have an in-built mechanism that, intentionally or not, serves to prevent people from nodding off for too long. 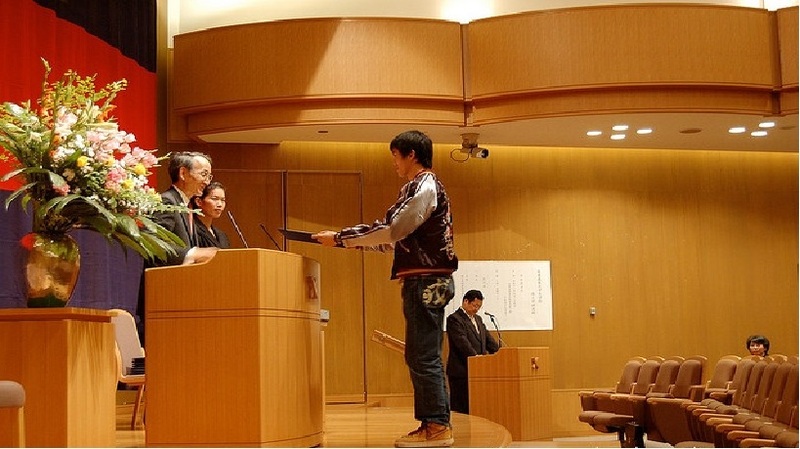 Whenever a speaker, particularly one worthy of respect, takes to the stage, or leaves it, the MC barks out three militaristic commands: Ki o tsuke! Rei! Chakuseki! (Attention! Bow! Sit down!) Those assembled duly oblige with the speed and efficiency of an arcade mole that’s about to get whacked. Well, that’s it for today’s article. Whew! 2000 words! I wish I can cram it a little better, but it seems I lack the skills to do it (terribly sorry). On the next post, I shall assert the School Refusal Syndrome and the Bullying. Yup, it means the next post will be the last part of the Japanese School’s Life. I want to discuss the school uniform too, if the words doesn’t exceed the quota. For those who guess correctly my question at the end of Part 2, I give you my deepest respect. Well then, see you next time :).